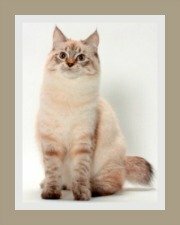 There are over 100 different Persian cats colors and patterns to choose from - all uniquely beautiful. 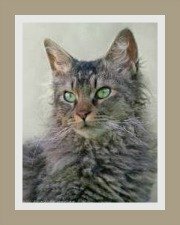 If you are unsure of what color kitty you would prefer, then do take a look at the cat pictures with color descriptions below - it will assist you in making a decision. Self or solid colors refers to a coat that has the same color throughout i.e. one color with the same intensity. 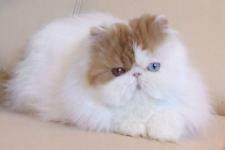 Persians are found in black, blue, red, white, cream, lilac and chocolate. 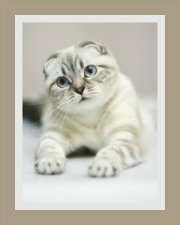 Apart from the white Persian cat, that may have copper, blue or odd-eyes (1 blue; 1 copper eye) all the other coat colors only have copper eyes. Color Point means that the extremities (i.e. the tail, legs, ears and face) have darker points or markings. Persian Color Points were derived from crossing Persian cats with Siamese cats resulting in this cat having a light or fawn-colored body with darker points. 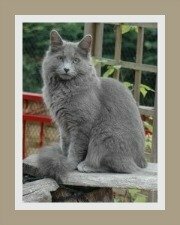 Himalayan is the American term for Color Point. Apart from the obvious physical characteristics, Persians are generally classified by coat color and pattern. The skin of a cat has cells containing melanin which carry the color pigments which ultimately determines the color of the fur. Eye color is determined by the same gene that affects coat color. (Cat breed standards insist that eye-color is appropriate to the coat-color). Tortoiseshell (Tortie for short) refers to a cat that has a coat with a combination of 2 colors (Bi-Color) with very little white. These colors seem mottled or intermingled. Torties all have copper eyes. In America, tortoiseshell-and-white cats are referred to as CALICO CATS. It describes a coat that has red and black patches covering mostly the head and back whilst the under-parts are white. Tabby refers to the patterns found on the coat. 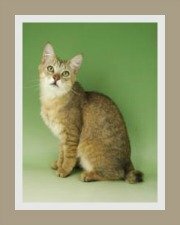 Basically a tabby coat consists of a light coat with dark spots, stripes or marbling. Eyes are copper-colored with the exception of the Silver coats which may have Green or Hazel colored-eyes. Bi-color, Parti-Color or Harlequins refers to a coat that is white with one other color; or white with dark patches. The Bi-colors include the Vans and Harlequins. In America, a Van is recognized by an all white body with color on the top of the head and the tail. In Europe, the body is also all white apart from a small patch of color and the tail and head are both colored. A Harlequin is described as a bi-color coat with the following ratios: white 50:75 , color 50:25. News: A breeder recently contacted us to advise that they have, after years of selective breeding and research, created a Bi-Color (Van and Harlequin) with Blue Eyes and Odd Eyes. Thanks to Eugene of Sherazade Persians for this update. 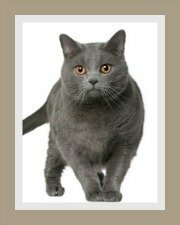 The coat looks like a solid color, but when the cat moves or if the hair is manually parted, then the white hair is exposed giving rise to the term Smoke color. In essence, most of the hair shaft i.e. 50 - 80 % is colored, while the balance of the hair to the root is a silvery white. If one third of the hair is tipped and the rest of the hair is light or white this is referred to as Shaded. All these cats have copper-colored eyes. The Chinchilla Persian coat is described as a pure, silvery or snow-white undercoat with evenly spread black tipping over the tail, back, sides, head and ears. Tipping means that only the tip of the hair is colored and in the case of the Chinchilla Persian, an eighth of the hair length is colored. Then of course you have the Silver-Shaded Persian where one third of the tip of the hair is colored thereby making it darker than the Chinchilla Persian. Finally, the Golden Chinchilla which is really a warm cream/apricot color with black tipping. This is rarest color. The eyes can be either green or blue-green and rimmed with black which is one of the distinguishing features of Chinchillas. Note: In some countries, the Longhaired Chinchilla is judged as a separate breed to the Persian and has slightly different features to the Chinchilla Persian. That's it folks - a guide to Persian coat colors in a nutshell! Check out our cat photo galleries for more colors.